We started out the day bright and early going to mass at Saint Etienne du Mont, a beautiful church by the Pantheon. We got there uber early expecting a crowd. 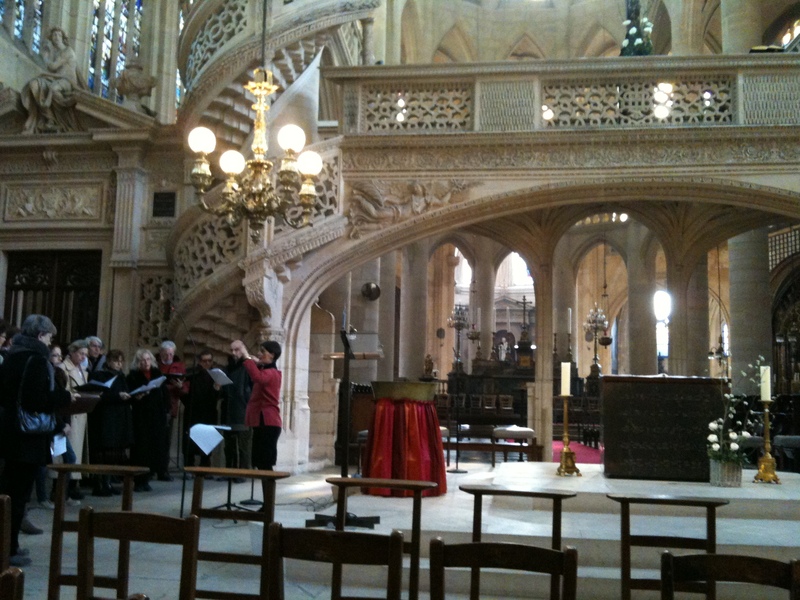 Instead the church was just about vacant, so we got an awesome seat and got to watch the choir warm up! Four priests, lots of incense, and an hour later, we were chilled to the bone! The church is made of stone and the cold just permeates everything in the Winter. Note to self: Bring a major coat to wear to church and keep it on during the service! On the way home we stopped by a market to pick up some grub for an Easter Brunch at our apartment! Check out these cute eggs! 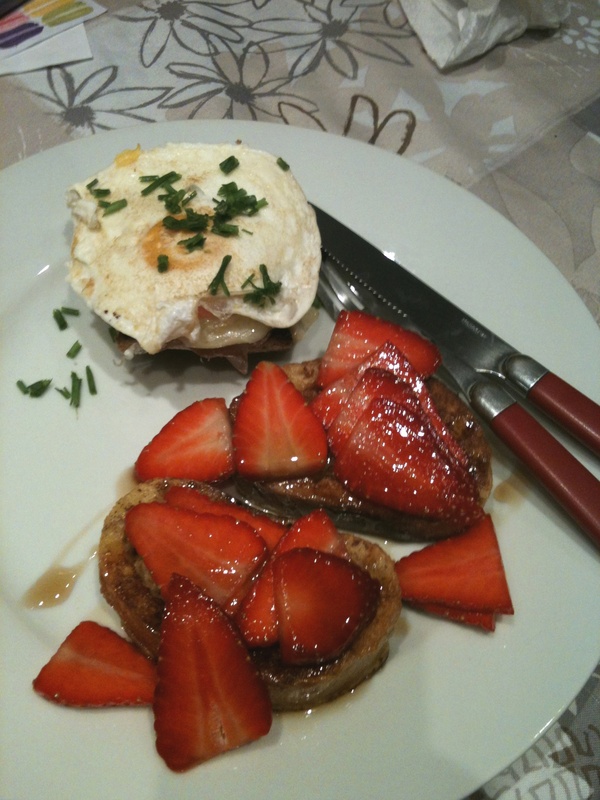 I made French toast with strawberries on top and Kerri made a play on eggs benedict without the Hollandaise. Then I started to wonder, why is it called French toast and do the French make it? 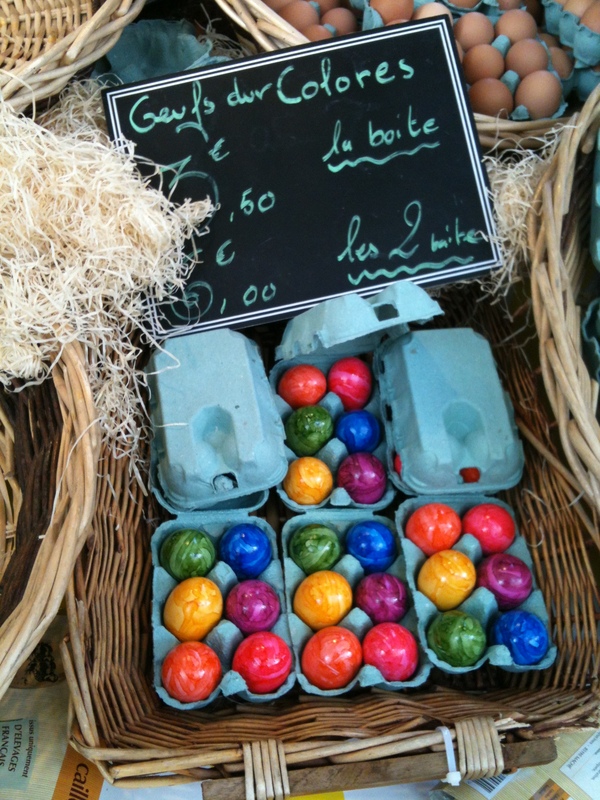 Easter in Paris sounds divine…and your brunch looks phenomenal!